Liver: Multifocal necrosis. Liver: Severe lipidosis. This is a cut surface of liver showing white multifocal areas of necrosis in the liver parenchyma caused by *C. psittaci* infection. 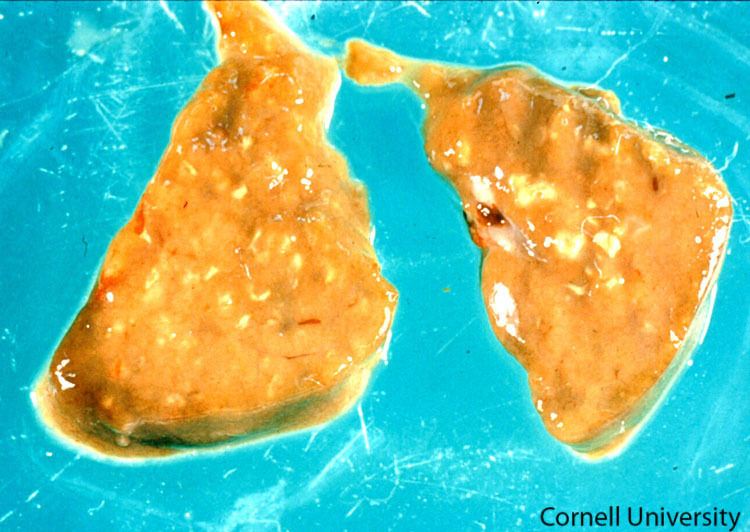 A section of bright yellow liver has been incised. On the cut surface there are numerous, small, well-demarcated soft, white foci scattered throughout the parenchyma.